Deepest Sympathy - Catherine McGovern R.I.P. It is with regret that I inform you of the passing of Catherine McGovern. Catherine was always a great supporter at the Ladies Football and Camogie matches which her daughter Amy was a member of. She was such an inspirational and positive lady. We would like to extend our deepest sympathy to the McGovern and Maher families and to her friends at this sad time. Catherine's funeral mass is tomorrow Wednesday at 1 o clock in St. James' Church, Two-Mile-Borris and she will be laid to rest in Two Mile Borris Cemetery. May she Rest In Peace. Moycarkey- Borris Camogie & Ladies Football Club will hold their Medal Presentation evening this Sunday February 8th in Muintir na Tire Hall, Littleton from 6pm to 8pm. Medals will be presented for 2013 to our U12's who won the U12D Football Final and U12 C Summer League Football Final, and to our U14's who won the U14D Summer League Football Final. Medals for 2014 will be given to our U12's who won the U12 C Camogie Final, the U12 D Football Final and the U12C Summer League Football Final., to our U13's who won the U13C Camogie Final and also to our U16's and Minor Teams for their Football Final wins. Congratulations to our Club member Laura Gleeson on winning the Senior A Camogie Final with Presentation Secondary School, Thurles. Well done everyone. 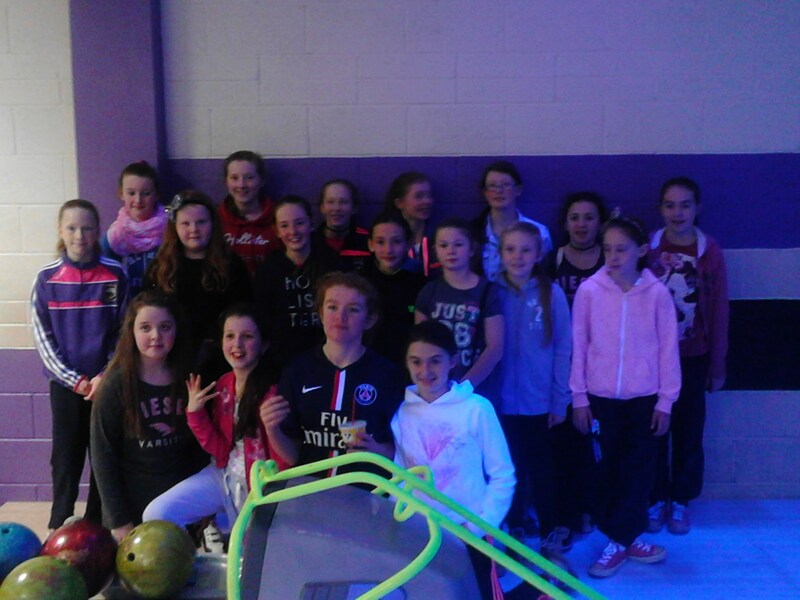 The girls enjoyed a well deserved outing after a very successful year of winning 2 Football Finals and 1 Camogie Final! !Some girls missing from photo. Best Wishes to all the girls in 2015!! U14's were defeated in the Summer League Football Final by Arravale Rovers on October 25th on a scoreline of 5-4 to 4-4 after extra time. The final set for October 18th has been postponed due to a bereavement in Arravale Rovers. We defeated Moyne in the Summer League quarter final replay on September 24th. We now play Holycross in the Semi Final on Sunday October 5th at 5pm in Littleton. Good Luck Girls! Our 14's will play New Inn in Round 4 of the Summer League on Saturday October 4th at 1pm in New Inn. Wednesday evening training is now finished for this season. Well done players and mentors!! Brilliant end to what has been a super year!! Moycarkey v Moyne quarter final on Sept 24th was abandoned with 10 minutes to go, evening too dark and unsafe to play, and will be re-played. We were defeated by Moyle Rovers on Sept 21st. Our U12's play St Pats this Friday Sept 26th in Duneske, Cahir starting at 6pm. 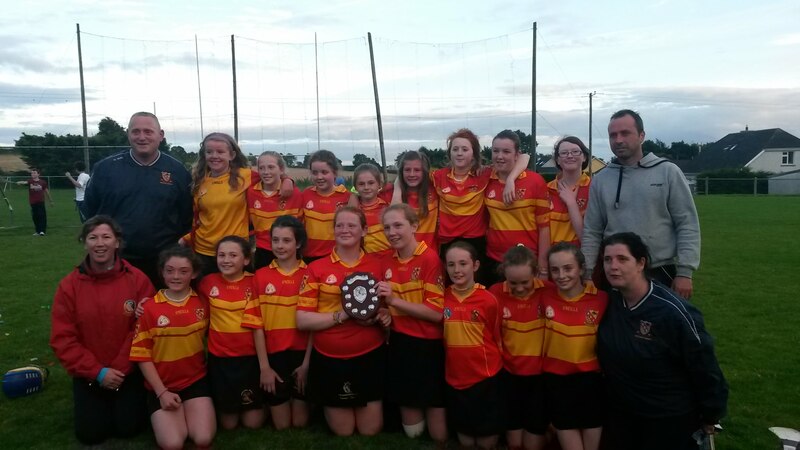 This team have won both a Camogie and Football County Final so far this year. All support for this great group of girls very much appreciated!! Best of Luck Girls!!! 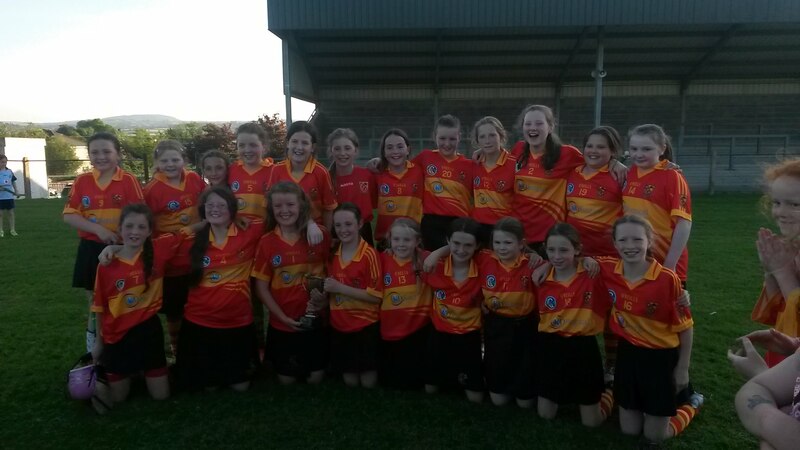 Our U14's will play Moyne in the Summer League Play Offs on Wed Sept 24th at 6.30pm in Littleton. Good Luck Girls!! Our U14 team will play Moyle Rovers in Round 3 of the Summer League. The match will commence at 5.30pm on Sunday Sept 21st in Littleton. All players are asked to be there at 5.15 please. Our U12's final day of the academy was Saturday Sept 20th in Duneske Cahir. The girls took part in skills challenges. Each participant received a medal. The girls really enjoyed this academy and it has added to their skill levels. Many Thanks to Ed Burke and the other U12 Academy mentors. Our U8's and U10's are playing Thurles in a Camogie match on Sat Sept 20th in Thurles Sarsfields pitch. Players are to be there at 10am. On Sept 10th our U12's played Cahir in the Semi final of the Summer League at home in Littleton. Cahir got off to a better start and at half time they were ahead by 2 points. H/T score Moycarkey 1-1 v Cahir 1-3. In the 2nd half we were behind by six points at one stage then we scored a point followed by a point from Cahir. Moycarkey fought back and added 2 more goals which drew us level on the full time whistle. F/T score Moycarkey 4-2 v Cahir 3-5. Extra time of five minutes a side was equally as exciting as the two halves. Moycarkey got ahead well and added 3 goals and 1 point to the scoreboard. Cahir scored one goal. Final score after extra time Moycarkey 7-3 v Cahir 4-5. Well done girls!! Best of Luck in the Final !! (Date not yet confirmed). Moycarkey Borris Team on the day: Lauryn O' Sullivan, Zoe Mc Kenna, Roisin Donnelly,Chloe Cummins, Enya Maher, Sarah Hayes, Niamh O' Meara, Emma Shelly, Emma Dowling, Zoe O' Meara, Queva O' Meara, Laura Costigan, Maria Kennedy, Aoife Dunphy, Leah Walsh, Ciara Coffey, Sophie Long, Joan O' Keeffe, Kate Fitzgibbon, Eva Morrissey. Our U8's will play a camogie match against Holycross this Wednesday August 6th in Littleton Gaa grounds. Players are asked to be there at 6.30pm. Our U12 team will play Upperchurch in their first match of the Summer League this Wednesday July 23rd at 6.45pm in Borrisoleigh. On Wednesday next July 16th Tipperary Ladies Football are running the above course in Littleton GAA pitch starting at 6.45pm. This course is open to all our Ladies Football coaches and mentors. We have had a great response from participants and we look forward to the evening. Our U8's and U10's play in a Football Blitz on Saturday July 12th. The blitz starts at 10am and is hosted by Moyne- Templetuohy. 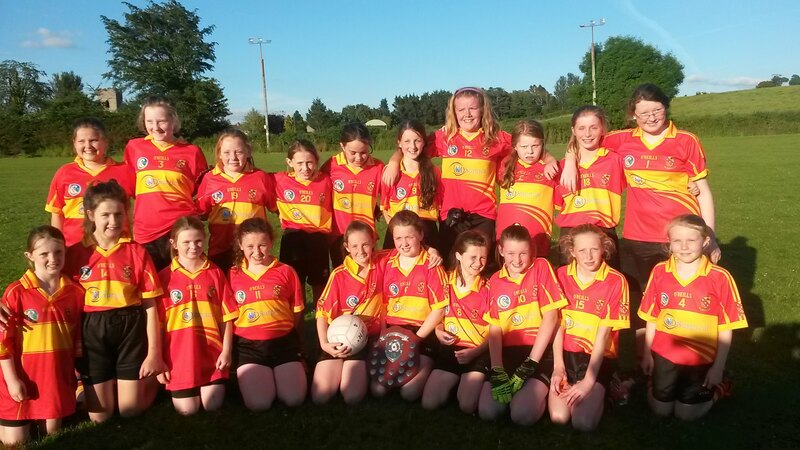 Our U14 team played Emeralds, Urlingford in a challenge match on Tuesday July 8th at 7.30pm in Johnstown Gaa Pitch. 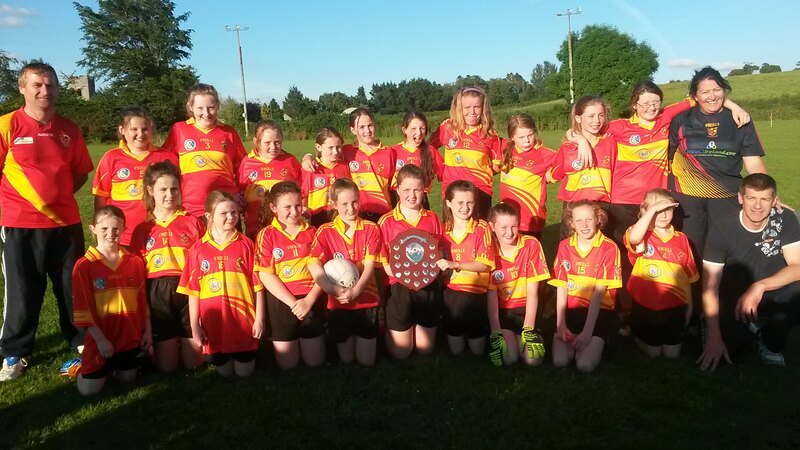 Our U12 team will play a challenge match with New Inn on Tuesday July 8th at 7.15pm in New Inn. 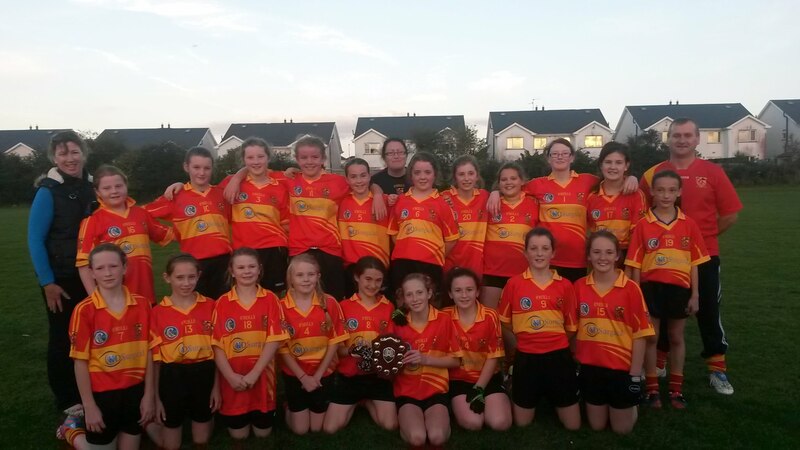 Our U14 team will play a challenge match with Gortnahoe this Sunday July 6th at 7pm in Gortnahoe. Moycarkey-Borris Team: Emma Shelly, Enya Maher, Chloe Cummins, Joan O' Keeffe, Zoe Mc Kenna, Zoe O' Meara, Sophie Long, Leah Walsh, Lauryn O' Sullivan, Queva O' Meara, Emma Dowling, Roisin Donnelly, Sarah Hayes, Aoife Dunphy, Caoimhe Brennan, Ciara Coffey, Laura Costigan, Kate Fitzgibbon, Maria Kennedy, Eva Morrissey, Niamh O' Meara. 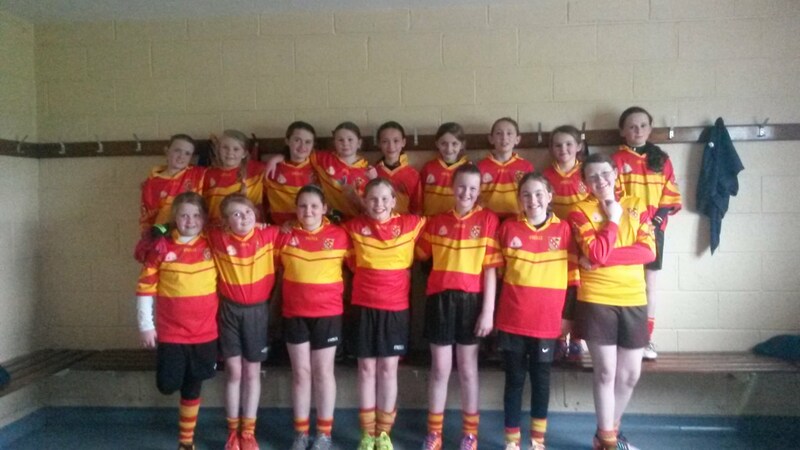 Our U12 Football team will play Moyne-Templetuohy this Sunday 8th June at 2.30pm in Littleton. 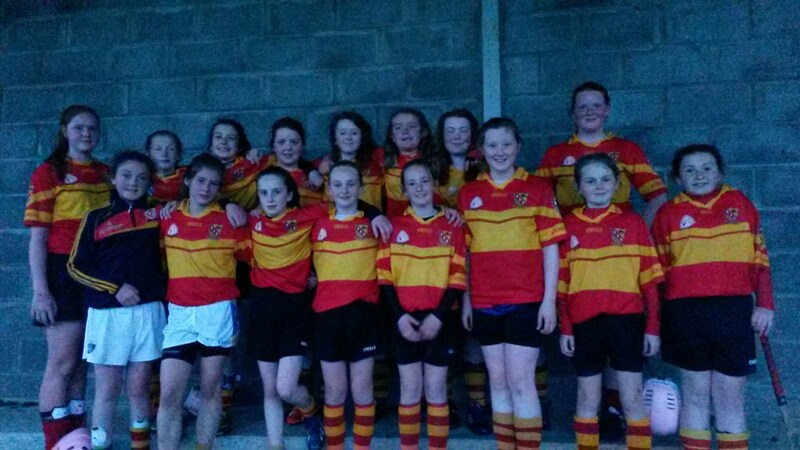 U14 Football: We were defeated in the Semi-Final on Monday 26th by Clonmel Commercials. U12 Football: We were defeated by Templemore in Round 1 on May 26th. 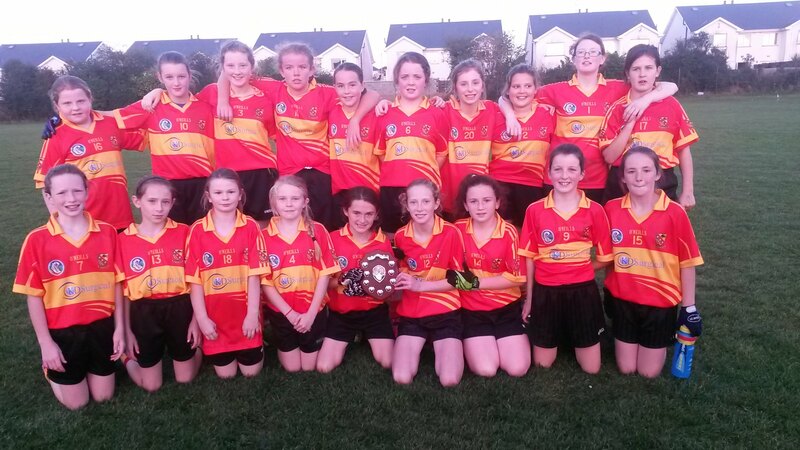 U14 Football Our U14 team were defeated by Holycross on Tuesday 20th May. Our u14's were defeated by Moyle Rovers on a scoreline of Moycarkey-Borris 1-1 to Moyle Rovers 2-2. 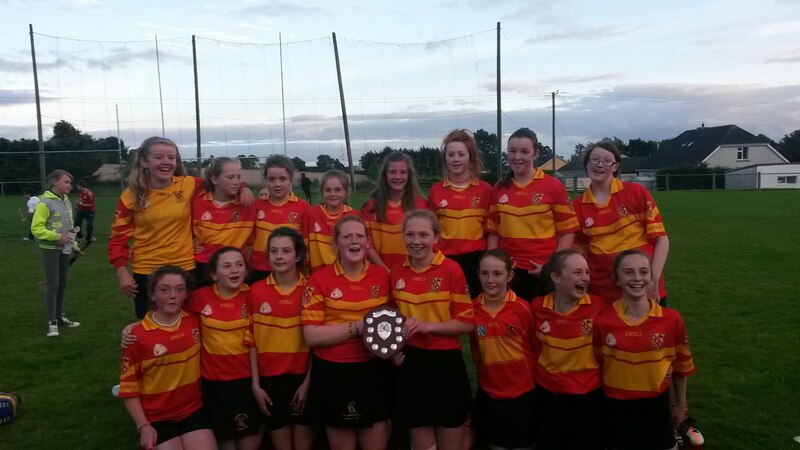 Moycarkey-Borris will play Moyle Rovers in the Camogie Pitch in The Ragg at 7pm this Tuesday 13th May. We are training every Saturday from 12 to 1.30pm in preparation for our blitz's. No information on these blitz's yet. We are training on Saturdays in Littleton Gaa grounds from 12 to 1.30pm. We start our Wednesday evening training this week April 9th from 6.30 to 7.30pm. 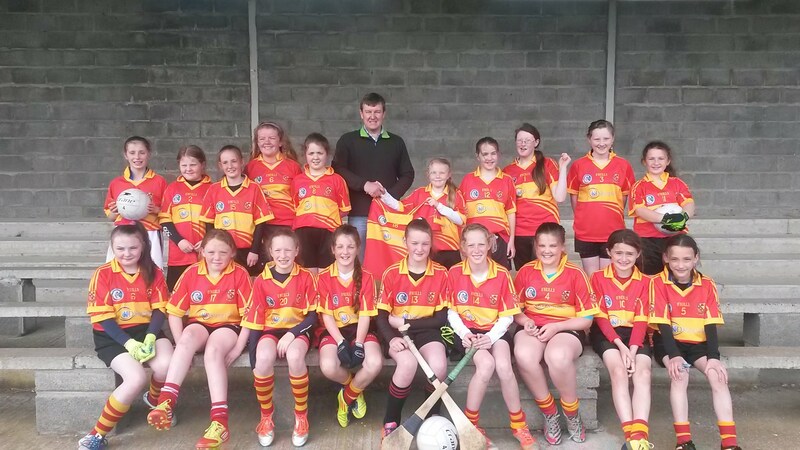 Our u12's have played in various Camogie Blitz's over the last few Saturdays where they showed great skill. Our League starts this weekend. Date and time have yet to be confirmed. We will be playing in a County Football Blitz in Moyle Rovers on Saturday April 12th. 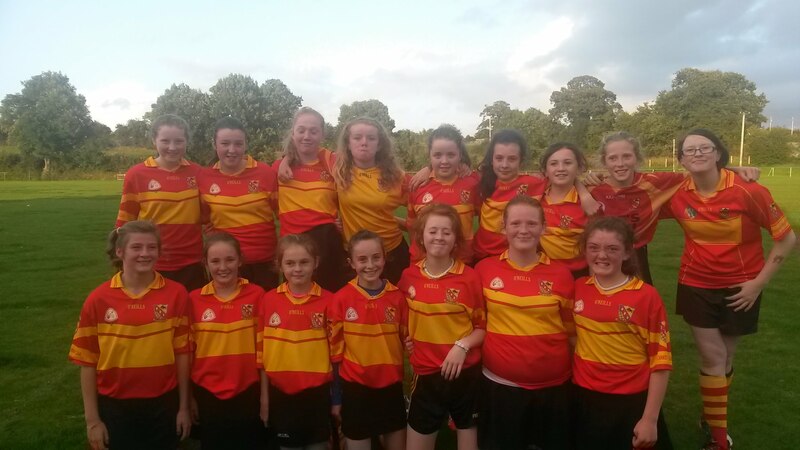 Our U14's have been training for our Camogie and Football championships. Last Sunday we got off to a great start by defeating Templemore in our first Camogie Championship match of the season. The girls showed great skill. We are looking forward to our next game.